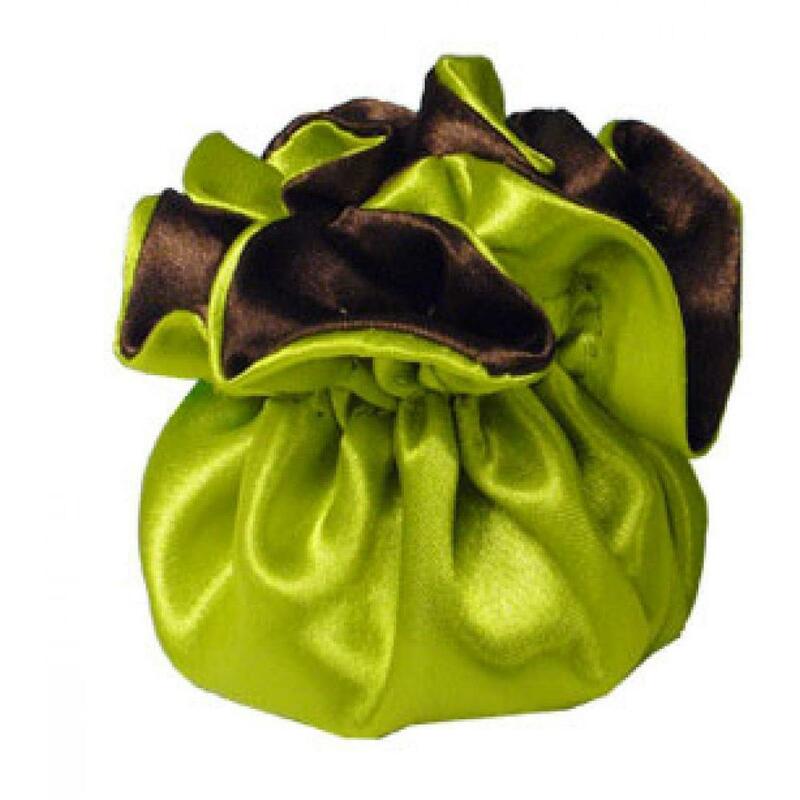 These bright, dual color, reversible satin pouches, with cord drawstrings, are perfect for storing little trinkets, jewelry, give aways and more! These pouch bags are pre-packaged as flat 7" circles with drawstrings sewn between the two colored fabrics. The 1-3 + 4" diameter centers of these sewn circles are slightly cushioned to soften the bottom of the pouch when closed.